2015 was actually the year I found more holy grail products than any other, I finally found a foundation that gives me everything I love and not just some things, I found my dream mascara combo and a few other things so I figured it would be fun and helpful to share them with you, some I have to admit I've been using and loving before last year but the majority I discovered in the past year. 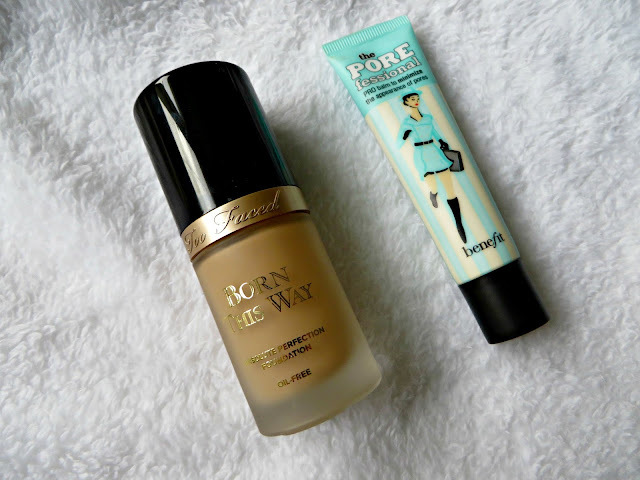 Too faced - Born this way foundation, when it comes to foundations I have a slight issue, I went through a stage, in fact probably most of last year continuously buying them, I have about 15 currently in my collection from MAC, Revlon, Estee Lauder, Chanel and more. There was always something I loved about the ones I tried but then there was always something more I was looking for, they never quite had 'everything' until I tried Born this way. As someone with combo skin who is constantly needing to powder and blot her t-zone, freckles to hide, uneven skin tone I ask for quite a bit from a foundation, I want to stay as matte as possible for as long as possible, I don't want the foundation sliding off my face after a few hours, I want my freckles to mostly be hidden and most of all I want to skin tone to be evened out, I don't want the horrible red patches showing through that I have across my nose and some area of my cheeks and this foundation truly does all that for me, the skin colour range is amazing in my opinion. I love how buildable it is without feeling heavy and looking cakey, the staying power is fantastic and as if that wasn't enough, I'm not left looking a shiny mess just an hour after applying it. Benefit - Professional primer, I cannot and will not apply my makeup without this now, I started using it around late 2013 and the obsession has just grown and grown. I used to use it now and again and still use other primers, other pore minimisers but now this suff is superglued to me. I notice a huge difference in the appearance of my skin and pores if I don't use this before applying my foundation and as someone with quite large pores its a very welcomed help. It really does help your foundation glide on more smoothly and fill in the appearance of those pores and lines that your foundation would otherwise just sit in and emphasise. Benefit - They're real & Rollerlash mascaras, I have to admit I'd tried They're real a few times and I just didn't see what the fuss was about it, it didn't do much at all for me and I felt it was nothing special and certainly not worth buying, in fact I had used drug store brand mascaras and found them better but Rollerlash I was way more impressed with, probably still not blown away but I liked it enough to re-purchase and use quite often. I then however was watching QVC one day and they used them together and I was blown away by the results I was seeing, I wondered if it was all just a clever trick and a ploy to get you to purchase them though, I have to admit I'm alway suspicious of shopping channels and the 'sell' they give you but after receiving a free sample of They're real not long after I decided to just give it a try anyway, it wouldn't hurt to give this much loved and talked about mascara one last try before deeming forever that I would never even attempt to use it again, well I can only say that I'm so glad I did because I was in love with how my lashes looked. I'm fortunate that my lashes are quite long away but unfortunately they don't come with great thickness so a little helping hand there is always welcome with me, pairing these mascaras together makes my lashes look crazy long, almost like i'm wearing false lashes and really does wonders with helping them look much more thicker. If you have both these mascaras and haven't tried wearing them together, just give it a go. 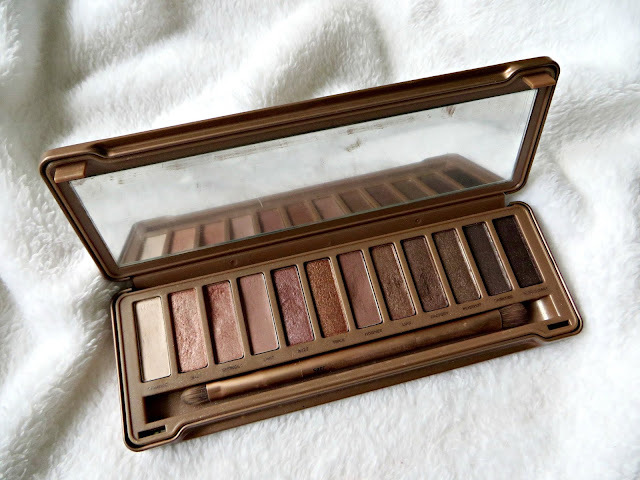 Urban Decay - Naked 1 & 3 Palettes, I purchased the number 3 palette a couple of years ago after so much thinking and struggling to decide which one to go for first and I instantly fell in love with it, the colours are gorgeous and I love using it for an everyday look, in fact its one of my everyday go to palettes. The quality and colour payoff of the shadows are fabulous, I fell in love with it so much that I knew I needed them all, so next I got number 2 which didn't really wow me, don't get me wrong I do love it but I could live without it and just recently my sister got me number 1 for my birthday and just like with 3, I instantly fell in love with it, the colours are so perfect for me and it will definitely be taking a place in my much used pile of makeup. These 2 palettes will never be left at home when I travel thats for sure. Elemis Pro-Collagen Cleansing Balm, since discovering this A-MAZ-ING product I will not use anything else to cleanse my face and remove my makeup. It feels and smells like such a luxurious product and nothing has ever felt so soft and easy to remove my makeup with, it just melts and glides of with a face cloth after a few minutes of allowing the balm to melt and soak in to my skin. I have continued and will continue to repurchase this product over and over again. I have become a complete Elemis addict if I'm honest and it has definitely improved my skin since having a proper skincare routine with their wonderful products. 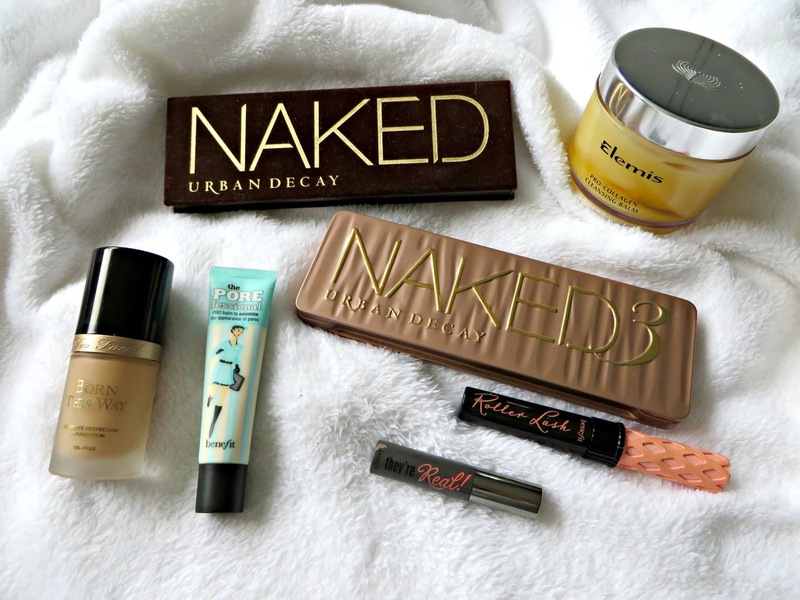 What are some of your can't live without beauty products? or are you still searching for things you love that much? I need to try Porefessional more often, it's in my make up bag but I forget to use it! 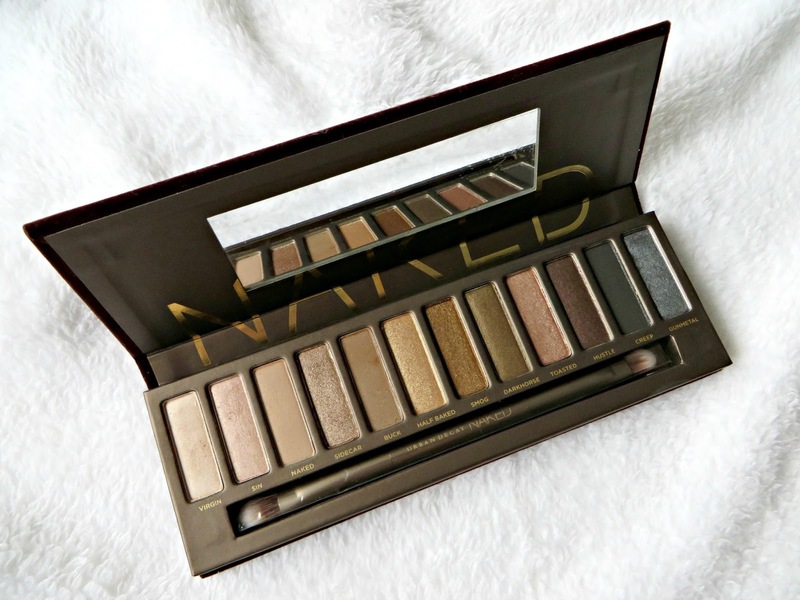 The Urban Decay palettes look great, I'll have to look into those.